Dr. Jenna L. Cook, MD. 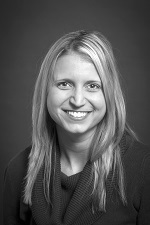 Dr. Jenna Cook is a board certified family physician with special interest in obstetrics. She has been practicing for the past 6 years in the Lincoln area. As a Nebraska native, she is an avid Husker fan. She loves traveling all over the world and spending time with her family.